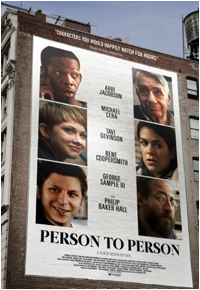 Something to Muse About: PERSON TO PERSON - Check out the Official Poster! Look out for the trailer tomorrow on Apple! By joining the Magnolia Pictures mailing list and social network, you will receive advance screening notices, alerts to giveaways, advance play dates and other exclusive insider information.